At Hearing Aid Specialists of the Central Coast, we offer same day hearing aid fittings. You can walk into our office with a problem and walk out with better hearing in just over an hour’s time. During your fitting, your device will be adjusted to meet your specific hearing needs, and you’ll be given instructions on how to insert and remove them, as well as how to change the batteries and keep them clean. Every pair of hearing aids we fit to our patients is adjusted with accuracy to meet your precise hearing needs. Hearing aids work extremely well when fitted and adjusted properly. The left and right hearing aids will probably not fit in exactly the same way and they probably won’t sound exactly the same. Nonetheless, hearing aids should be comfortable with respect to physical fit and sound quality. 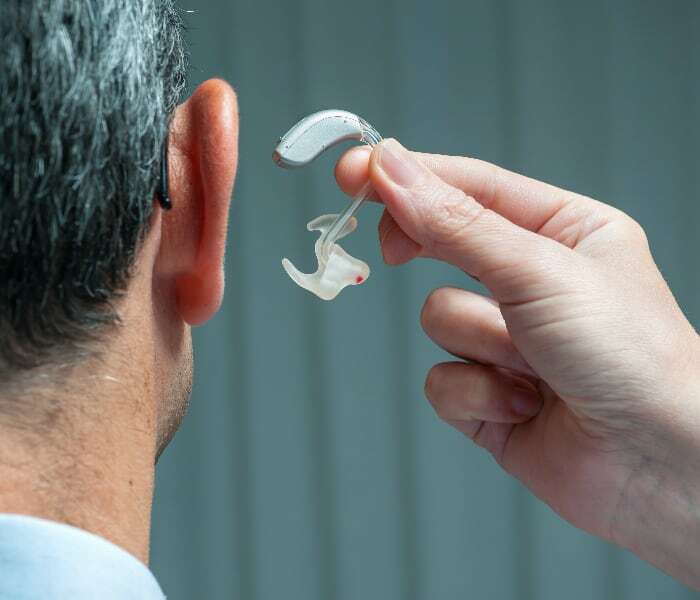 After the initial fitting process, we’ll ask you to go take “the real world test” by wearing your hearing aids during your daily activities, and have you return for any fine tuning the following week. All of our hearing aids come with a 90-day money back guarantee, which gives you ample time to try your hearing aids in all kinds of environments to see if they’re right for you. We also offer additional follow-up visits and adjustments during the weeks and months after your initial fitting to ensure your hearing aid is regularly cleaned and adjusted, giving you optimal performance every day. The best part? These visits are all complimentary.